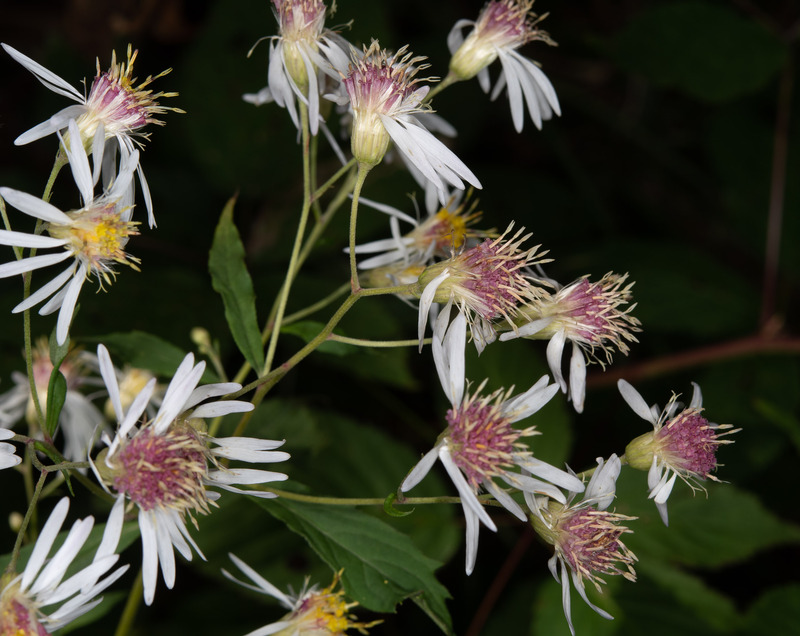 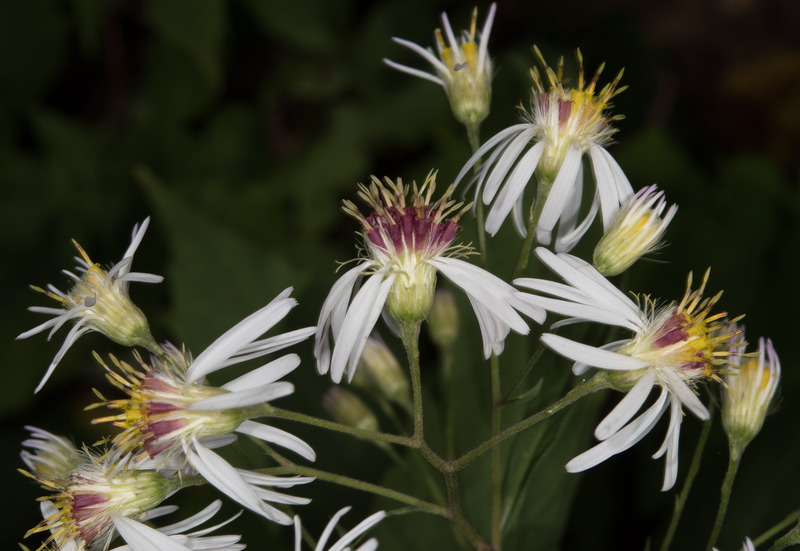 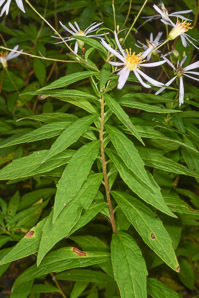 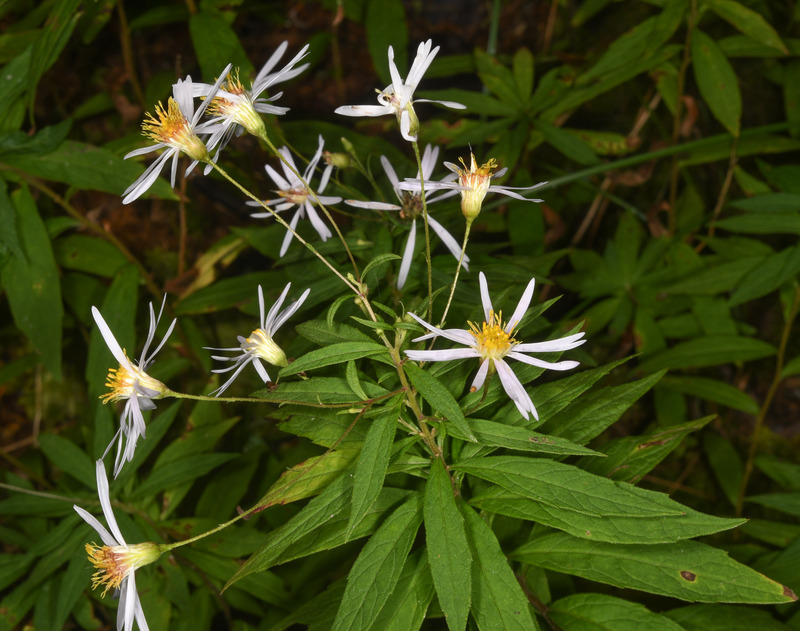 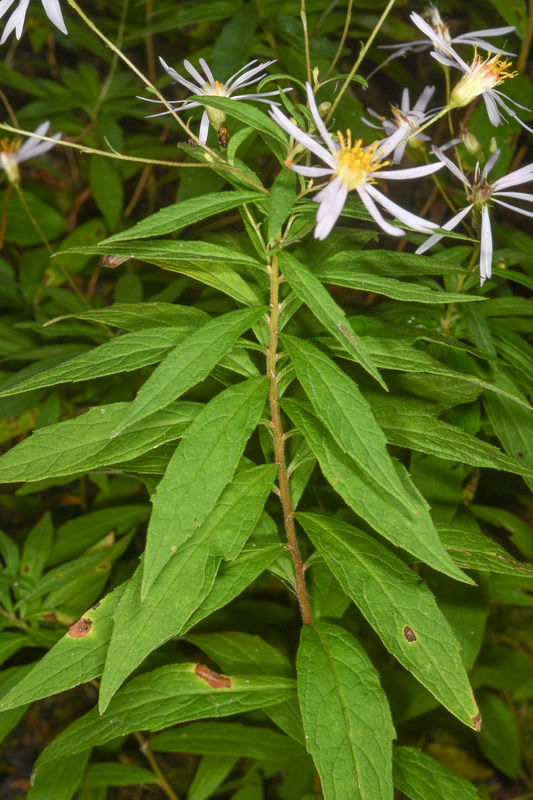 Whorled aster is a North American native plant. 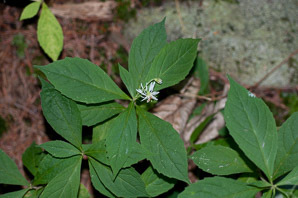 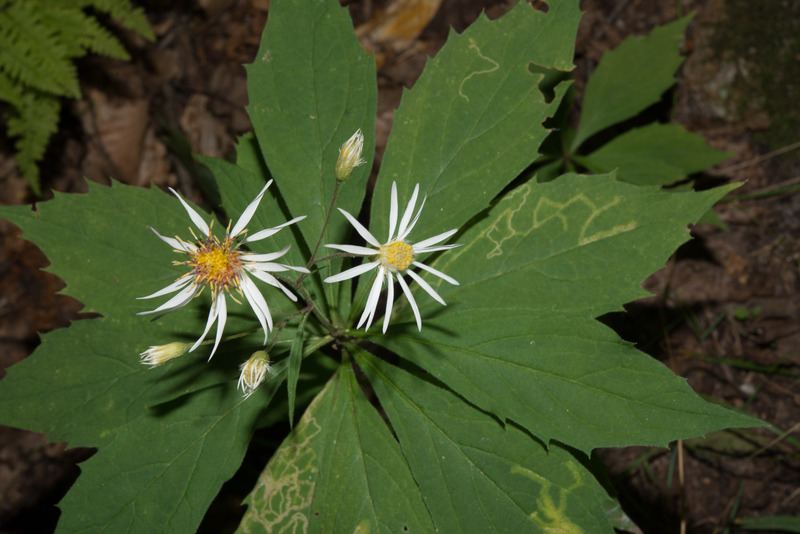 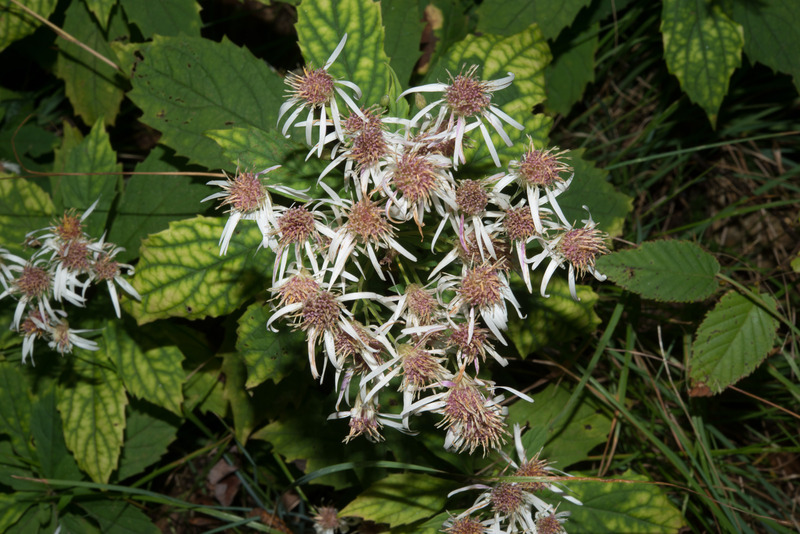 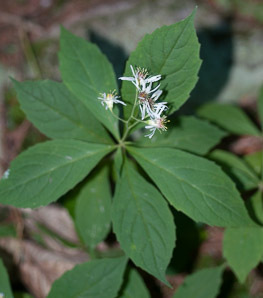 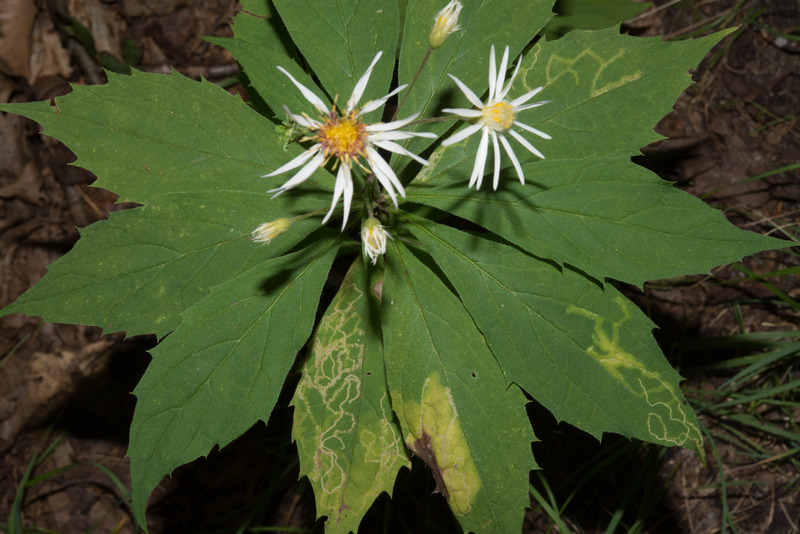 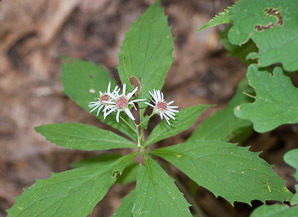 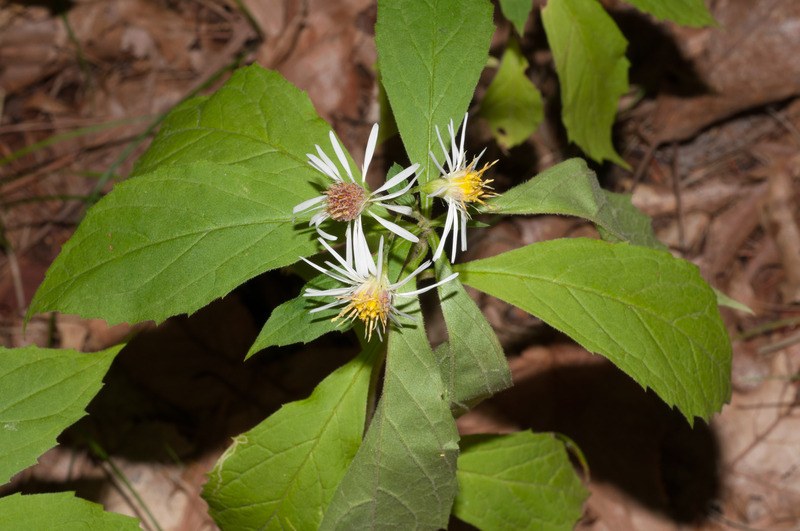 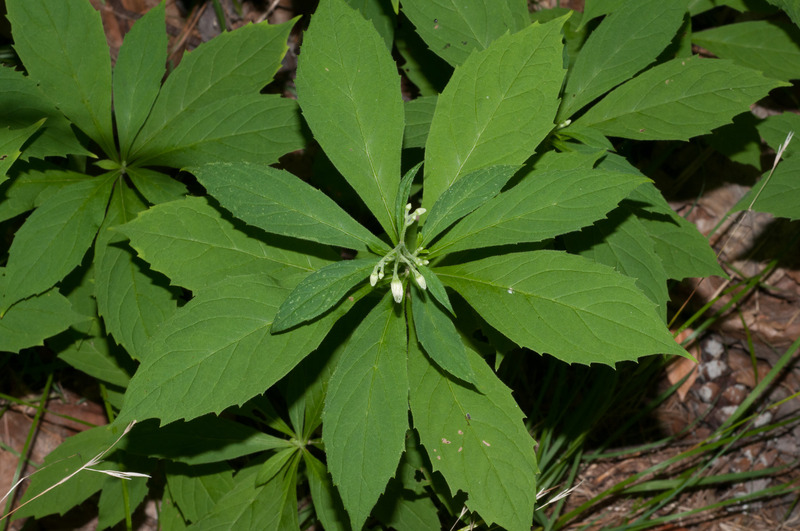 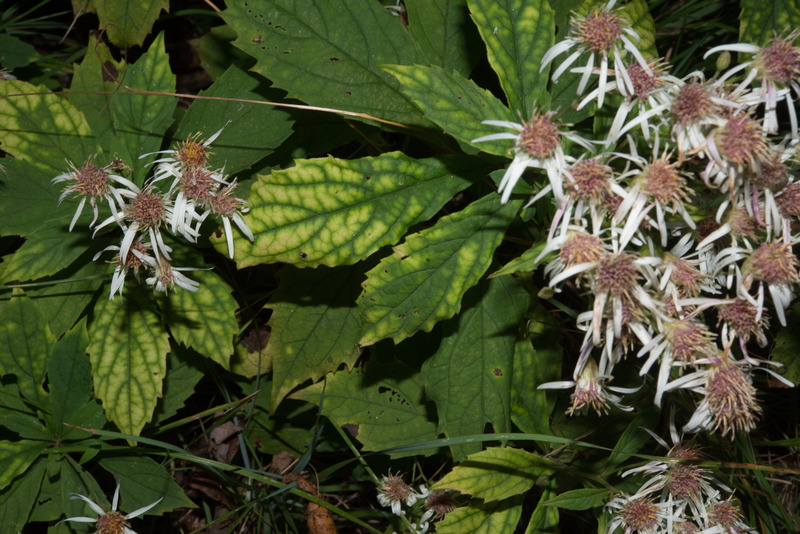 Identification: Plants are 12-31" (30-80 cm) high, found in wooded areas. 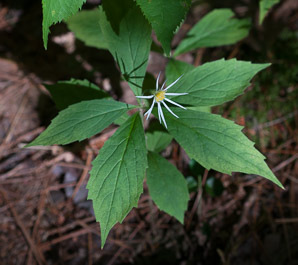 Oval, coarsely toothed, pointed leaves form a whorl around the stem. The arrangement of leaves, resembling a pinwheel when viewed from above, collects limited forest floor light more efficiently. Flowers form a roughly spherical cluster at the top, of flowers that are ⅞-1½" (2.5-4 cm) in diameter. 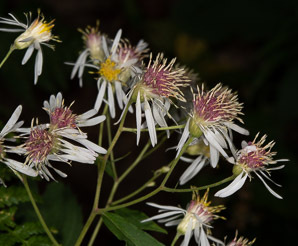 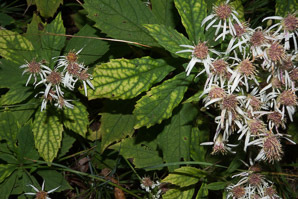 Each “flower” is a composite flower, composed of disheveled-looking white ray flowers surrounding a central disc that is yellow or purplish in color. Ray flowers are bent backward, not straight as in most other aster family flowers, and composed of about 15 (9-18) rays. 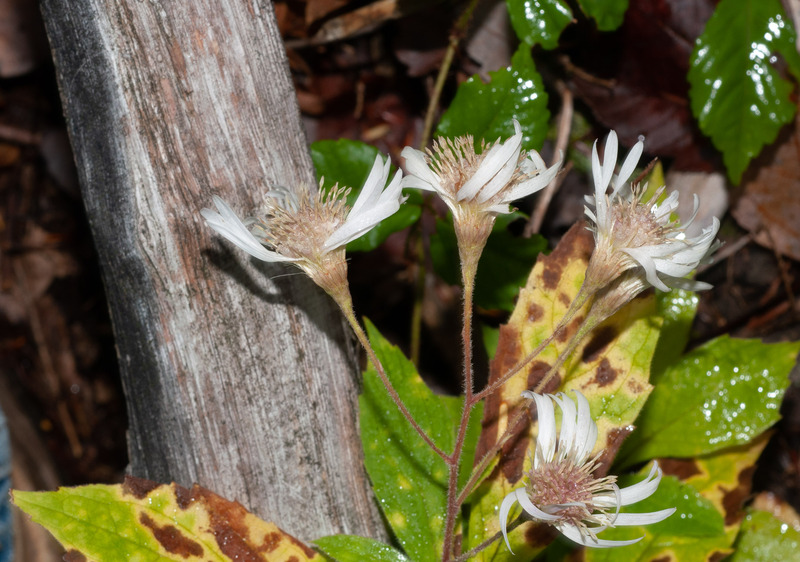 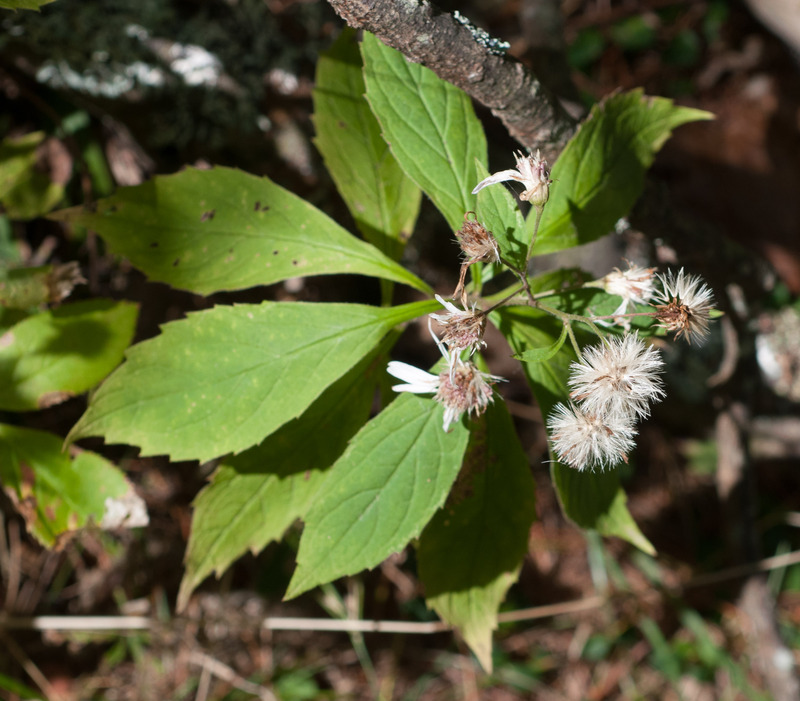 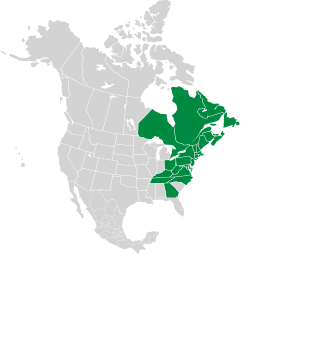 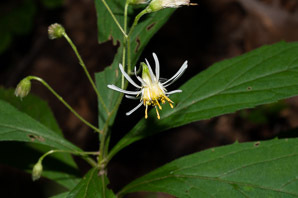 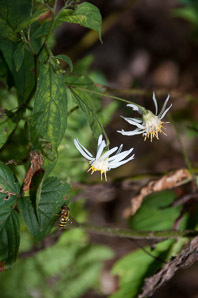 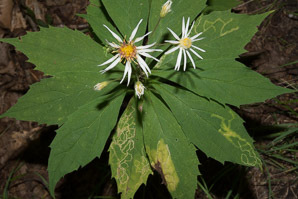 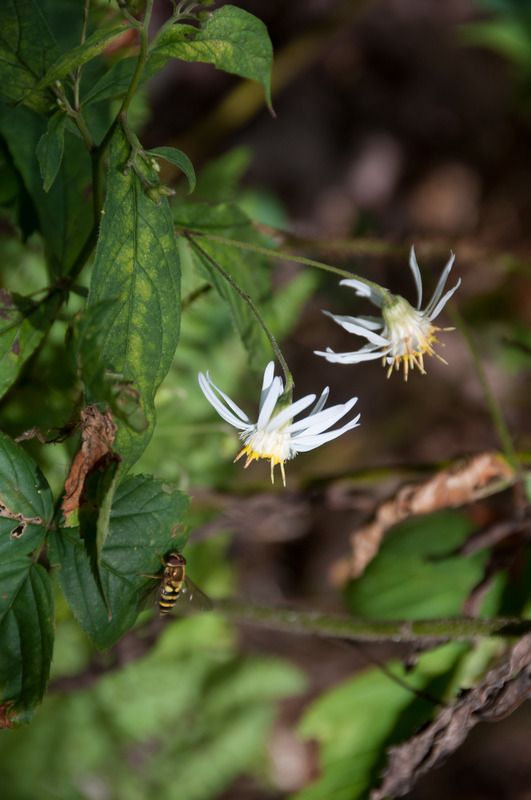 Oclemena acuminata description by Thomas H. Kent, last updated 2 Jan 2019.